With a continued focus on recognizing and promoting excellence in education, Department of Defense Education Activity officials have extended the Teacher of the Year nomination window through Nov. 29. The annual recognition event honors educators who have positively affected the lives of their students and provided inspiration to their peers, officials said. "The Teacher of the Year program encourages teachers to take an active part in educational leadership," said Erika McCoy, DODEA's Teacher of the Year Program Coordinator. "As outstanding educators, selectees perform a variety of roles. They promote the teaching profession and work with school officials to enhance the quality of teaching and the education of young people in DODEA." Officials also reported some changes to the program, notably a new online nomination process and a timeline adjustment to better align the program to the National Teacher of the Year program. "We believe that the additional support and time will give our teachers a more competitive advantage, since other state Teachers of the Year have had a timeline similar to our new one for many years," McCoy said. Peers, administrators, parents or students can nominate teachers for the award, and nominees will complete application packets to be submitted to the appropriate DODEA district office, where a panel assembled by the district and area coordinators select the District Teacher of the Year, McCoy explained. A second panel at DODEA headquarters will then select the DODEA Teacher of the Year from the candidates each district submits, she added, and that winner will compete for the National Teacher of the Year title. The application packet consists of nine components, including a professional biography, a list of community involvement, a philosophy of teaching, an essay on the teaching profession and major public education issues, and a videotape presentation. Each component has a designated point value from 5 to 25, for a total of 115 points. Teacher selection is based upon an application's total point value following a virtual interview with top candidates. 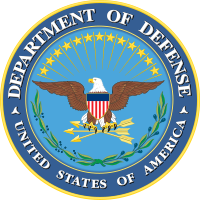 DODEA operates schools for children of military families and other eligible students in the United States and overseas.